A few weekends ago it was cold and rainy out and we were trying to find something to do. 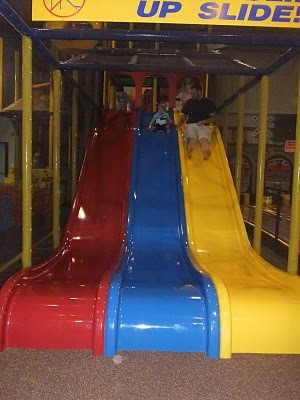 We decided to check out the indoor play place in Stoughton, Kidsports. We really liked it, it was very affordable! 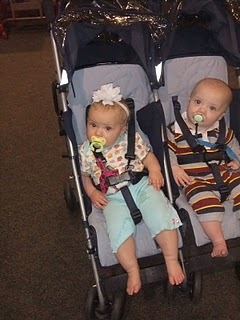 It only cost $7 for Grace, the babies were free, and Cole and I were free! 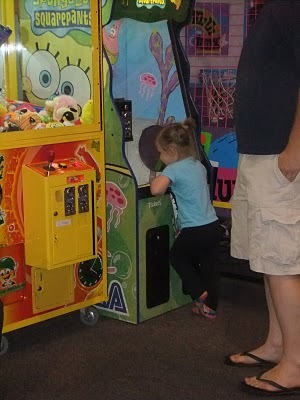 Any place that only cost $7 and keeps our children entertained for more then 10 minutes gets a super plus in our book! They also have a couple little bowling lanes that are cheap as well, $2.50 for 5 frames or $4.00 for 10 frames of bowling. We didn’t bowl, but a few other kids were and seemed to have fun.They have a couple arcade games that cost extra, but you get tickets and can pick some of those typical cheap arcade toys. They sell food there as well, we didn’t get any, but it looks like they have basic things like pretzels, fried dough, candy, soda, etc. 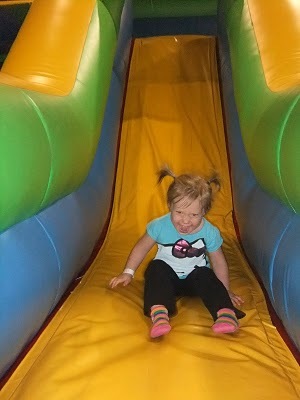 Grace really liked Kidsport, so I’m sure we will be back again soon, especially if it continues to rain like it has been lately. 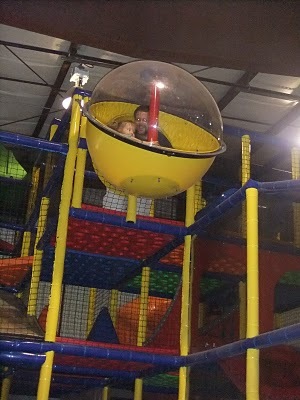 We just checked it out for the first time a few weeks ago and the kids loved it! We will def. be back! This sounds great. I miss Boomergangs in Carver and also am looking for places with ball pits. Martianne, Mamas Move in Norwell has a small ball pit under their climbing structure. Might be worth checking out!